The ultimate home for the pickiest of buyers in prestigious Manhattan Beach for under $1 million dollars. This home has been gut renovated. This semi attached brick beauty is on the desireable Langham Street block a short block from the beach. The top floor has a very large master bedroom and a second large bedroom or office. The master bath is brand new and stunning. The first floor is completely open and ideal for entertaining. High end oak floors with dark rich stain, brand new high end stainless steel appliances and stone counter-top. The basement has a lovely room, high ceilings and European tile floor. The electric, plumbing, windows, and roof have been updated. The property has central air/central heat for complete comfort. 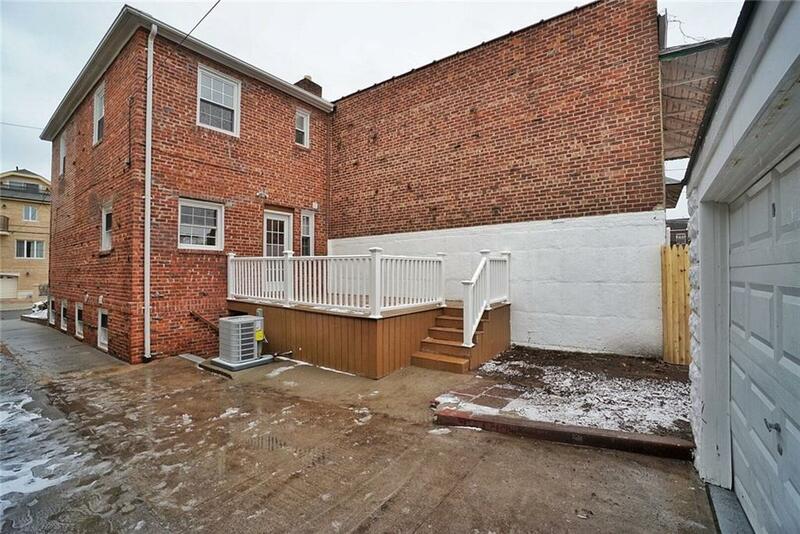 There is a trek deck off the kitchen leading to the quaint yard, and a detached garage as well. Instead of a condominium this is an amazing opportunity to own a beach beauty. This home is zoned for PS 195 elementary school in Manhattan Beach.